It’s no secret that virtual tours are hotter than ever. How do you stand out from the competition? And what if you don’t have a 360 camera? One answer to both questions is to shoot a high quality 360 photo with a DSLR or any camera using a panoramic head. In this post, I’ll talk about the advantages of shooting a 360 photo with a panoramic head. I’ll also discuss how to shoot with a panoramic head. UPDATE: here are samples of 360 photos with a panoramic head compared to 360 cameras. UPDATE: here are samples of 360 photos with a panoramic head compared to 360 cameras. 1. Detail. With a panoramic head, you can take a 360 photo of extremely high resolution, even gigapixel resolutions. The longer the lens you use, the higher the resolution of the final stitched photo. 2. Perfect stitching. If setup and used correctly, a 360 photo with a panoramic head will have no parallax error. Even objects that are very close to the camera will be stitched correctly. This means a panoramic head is ideal for small spaces such as car interiors. 3. Image quality. Even 360 cameras that have similar resolution as a low-resolution DSLR panorama (shot with a circular fisheye lens) will have image quality that is not as good as that of the panorama, simply because of sensor size. With a larger sensor size, DSLRs will have higher image quality even with similar resolution. The DSLR shot will have better detail, dynamic range, color depth and bit depth. 4. RAW mode. Most 360 cameras can’t shoot RAW. DSLRs and interchangeable lens cameras can often shoot in Raw. Raw files have more detail, dynamic range, exposure latitude, and nearly unlimited adjustment for color temperature. 5. Flash and filters. Most 360 cameras cannot use flash or filters. If you want to use flash or filters for special effects in your 360 photo, using a DSLR or ILC is the only option. 6. Cost. If you already have a good quality camera, you can use that. You simply need a panoramic head and stitching software. Moreover, when it’s time to upgrade, you can use the same lens and panoramic head. There are several types of panoramic heads. Single row panoramic heads are designed for fisheye lenses (or if you want to take a partial panorama). The one that I would recommend is a multi-row panoramic head — which lets you aim the camera upward or downward, or anywhere in between, which makes it more versatile and can be used with many types of lenses. As an alternative to a multi-row panoramic head, you can use a single-row panoramic head, such as the Nodal Ninja R series. Single-row panoramic head: For a single-row panoramic head, see this separate page. Multi-row panoramic head: For a multi-row panoramic head, I recommend the new Nodal Ninja 3 Mk III (the one I have is Mk II). It’s the entry level panoramic head by Nodal Ninja, and it can work for mirrorless or small DSLRs. (For longer lenses, you’ll want the Nodal Ninja 6 or M-series). If you want a more economical panoramic head, the SunwayFoto one works. But the difference between Nodal Ninja and the SunwayFoto is that the Nodal Ninja is more repeatable and will be less likely to have stitching errors. Lens suggestions for multi-row panoramic head. Samyang / Rokinon / Bower 8mm f/2.8 Fisheye Series II – a full frame fisheye, available for many APS-C mounts. On a full frame DSLR, you can shave off the lens hood to make it a circular fisheye lens. Sharp. Number of shots for spherical photo: 8 or 9 (1 zenith, 6 horizontal, 1 or 2 nadir). Stitched resolution (when used with 24mp camera): around 95mp. If you happen to have a Samsung, the Samsung 10mm fisheye is very sharp. However, it has no manual focus distance indicator. Number of shots for spherical photo: 8 or 9 (1 zenith, 6 horizontal, 1 or 2 nadir). Stitched resolution (when used with 28mp camera): around 95mp. Meike 6.5mm circular fisheye – a circular fisheye available for many APS-C mounts. Also sharp. But it does not have a distance indicator, and does not have detents for its aperture ring. Number of shots for spherical photo: 3 or 4 horizontal. Stitched resolution (when used with a 24mp camera): around 30mp. Lensbaby 5.8mm circular fisheye: a circular fisheye for many APS-C mounts. I wasn’t impressed with it, even stopped down to f/11. I’m not sure if it’s because mine is decentered but I will test it out further. Number of shots for spherical photo: 3 or 4 horizontal. Stitched resolution (when used with a 24mp camera): around 30mp. 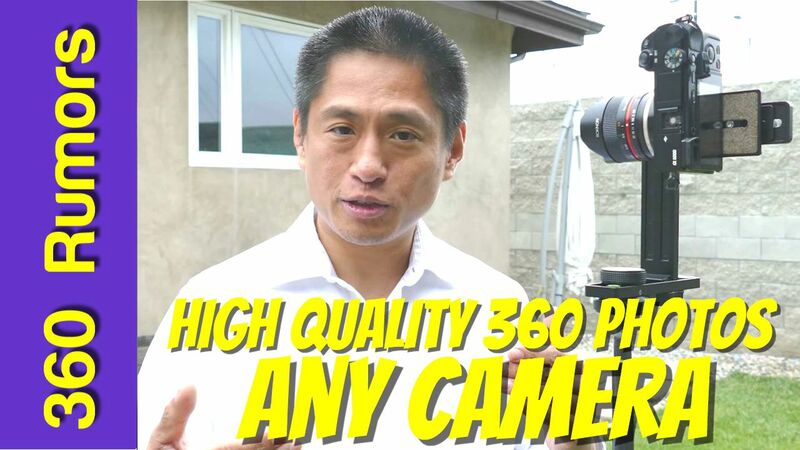 Check back in a few days because I’m going to post a comparison between popular 360 cameras and 360 photos from a panoramic head, using a few different fisheye combinations, to help you choose a 360 camera and/or fisheye lens. There are other ways of capturing high resolution 360 photos. There are panoramic heads designed for GoPro Hero cameras. With these panoramic heads, you can capture 65 mp 360 photos or more in 8 shots (Pano5+1 Mk II or Panohero H5B) or in the 12 shots in the case of the Zifon. Compared to a DSLR panohead, these panoheads are smaller, easier to setup (no need to find the no parallax point, no need to find the hyperfocal distance), and have a lower overall cost. I will post a comparison of image quality between a GoPro panoramic head and a DSLR panoramic head. Another alternative is to use a high resolution 360 camera, such as Panono (134mp) or Ultracker Aleta S2C (66mp). I’m working on reviews for both of these cameras. What do you think of shooting with a panoramic head? Let me know in the comments! I decided to start create virtual tours recently. My first 360 camera is Insta360 one. I thought it is completely enough for good quality virtual tours. But than I understood that image quality leaves much to be desired. Excpessially in places with insefition light and and with objects on close distance. So I guess my next step will be Gopro hero 6 with panohero. DSLR + fisheye lens + pano head = more than 1500 $. So this solution is too expensive for me. Moreover, such combo is not compact and heavy enough. This is a way just for high level professionals. Love the video. This looks like the best way (considering cost) to achieve the highest possible resolution 360 photos. I had a question about the nodal point: is the nodal point going to be the same for every scene? I was thinking that once you found the nodal point during the calibration that the camera could be removed, then you could move to a new scene, put the camera back on in the exact same spot and you wouldn’t have to find the nodal point again. Said in another way, can you mark where the nodal point is on the tripod adapter? Or does the nodal point need to be found for each individual scene (if you have removed the camera from the tripod)? BTW sorry for the filtered comments — I get so much spam that I personally review every single comment, which means your comment will not appear instantly. I was wondering if the positions of the slide-bars and cranks etc. could be saved once the nodal point is found such that the camera could be removed from the tripod adapter, you could move locations/switch scene, then put the camera right back where it was and still have it be at the nodal point? Said in another way, does the nodal point change from scene to scene? Once you remove the camera from the tripod and then put it back, the nodal point has to be found again? Changing the scene does not change the nodal point. The things that change the nodal point are: camera, lens, focal length (if you’re using a zoom lens), and for some lenses the focal distance. If for example, I use the a6000 with Rokinon 8mm 2.8mm II, then the nodal point will always be in the same position for that combination, regardless of the scene. If you remove the camera from the tripod, you can return the camera to the same position if you use the markers for the rails and if you attach the camera using the included mount. That’s one of the benefits of a high quality panoramic head — repeatability. If you use a low cost panoramic head such as the sunwayfoto for example, the way the camera mount attaches to the camera is not as easily repeatable / consistent, which leads to stitching errors. Wow, that is really useful. It makes this approach to 360º photos much more palatable if you don’t necessarily have to find the nodal point each time. And sorry for the duplicate comment I wasn’t sure if my first one had actually posted! No worries Sam! I forgot to add, there are usually markings on the panohead to help you take notes to replicate the setup if you have more than one camera / lens combination that you use. I have done a lot of back country panorama’s with a variety of camera’s and heads both commercial and ones that came out of my shop. I have many software packages and am currently using Microsoft ICE mostly for this. Could you make some comments on the software you favor to do the stitching. Thanks Walter! I’ve used PTGui, Autopano Pro, and Panorama Studio 3 Pro. The one I use most often is Panorama Studio 3 Pro because I find it the easiest and most user friendly, and I like the stitching results. But there are some scenes that stitch better in PTGui, and some that stitch better in Autopano, and some that stitch better in Panorama Studio 3 Pro. Nice to see this video, I have a Nodal Ninja mkIII coming in the mail tomorrow, and am also already using Panoramastudio 3 Pro. I’ve done some multi-image pano’s upto now, using both my Panasonic G6 camera and the ‘front’ lens of the Kodak 4KVR360 mounted on makeshift nodal rotators made of parts of stabilizers and camera brackets. It worked surprisingly well, with only minor stitching errors or none at all. But they were a hassle and a pain in use so now I’ve ordered a Ninja. I’ll be using my new G80 with the 14-140 (= 28-280 in 35mm) lens on it, but am considering getting a really wide-angle like a 7mm (14mm). One thing about Panoramastudio: do you know how to add nadir/zenith in them? I usually make a multi-row pano with the top and bottom row covering nadir and zenith, but you took care of shooting top/bottom photo’s, so did you use them? Hi Frank. Congrats on getting the nodal ninja! For patching i use affinity or photoshop. How come Matterport is not included? It’s on the expensive side of the spectrum for sure but it’s an all in one solution to consider. 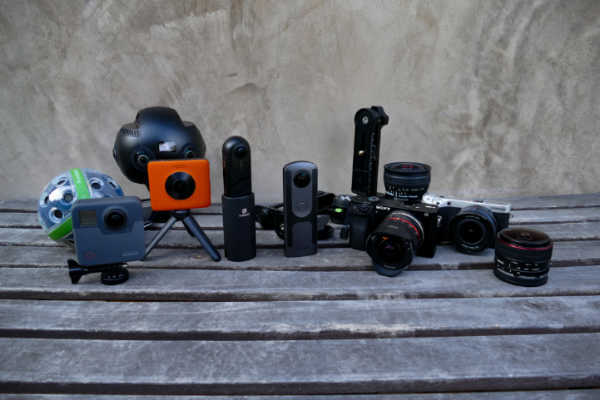 Super curious why it didn’t make the cut, and if the results are even worth it anymore as compared to some other all-in-one cameras, albeit the Insta360one stands out by comparison. Then of course you have to weigh and compare hosting packages and costs. I’ve been playing around 360° photography for a while… First i would like to thank you for your hard work making the world discover this unique universe. I am using a Nikon D7100 + 10.5mm Fisheye, and Autopano Giga and Panotour softwares. Just bought an Panono camera and started playing around with it. My biggest concern is about the stitching process of the Panono when there is objects near by. I am pretty happy with the Panono and intent to use it for creating virtual tours in a near future. My “mentor” is a french photographer named Arnaud Frich, who’s got a website about panoramic photography in french (my native tongue) and english: https://www.panoramic-photo-guide.com/. You can even find some tutorials on Youtube from this guy. I’ve learned a lot a few years ago… Please keep going and hold on ! Thanks Claude! Re Panono, its minimum stitching distance is something like 5 feet. Any closer and there will be stitching errors. But I posted a guide on how to fix stitching errors here: http://360rumors.com/2017/05/exclusive-how-to-stitch-panono-images.html Thanks again for the encouragement! Your videos are so well done. Precise and clear. You’re really doing a great job in promoting 360’s photography. After viewing this one, sure I’l get the NN3 and start trying high quality 360 photos, but ultimately I’d like to do 3d 360 high quality pictures. 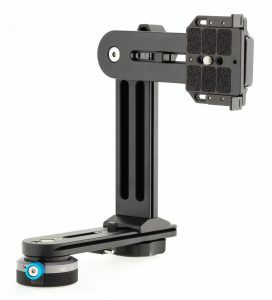 For 3d, I think I would need a different set up and also a kind of bracket to add somewhere even if I use only one camera. For the stitching, I suppose that it will be a nightmare. Do you have any advise for all of this. Thanks to answer and keep on your good work. How do I get higher resolution images using the Mi Sphere? Hi Reman. To get the best quality, shoot in Raw DNG mode. But you cannot increase the resolution. I want to start 360 photo shooting for GSV. Could you recommend a “good” camera? At the moment I am considering to get either a Panasonic Lumix DC-G9 (Micro Four Thirds DSLM,1100€) or Sony Alpha 7R II (1700€) or Pentax K-1 Mark II (1600€). Is a full format camera necessary or is a Four Third like the G9 also good to go? Or in general what do I have to consider buying a DSLR for taking 360 photos? Of course, the lens is also really important. So what combination would you recommend within a price range of 2300€?